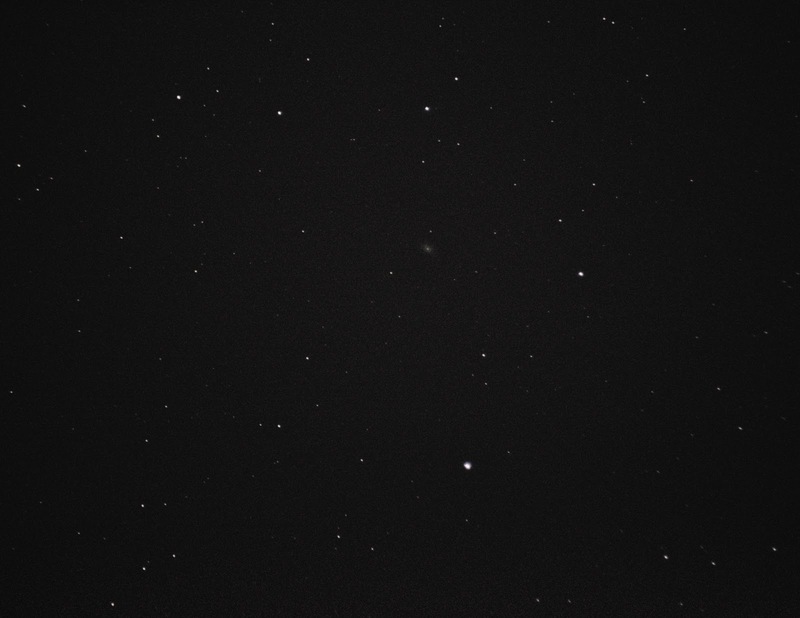 Last summer I took a wide angle shot of Coma Berenices and ran it through Astrometry.net to see what I could see. 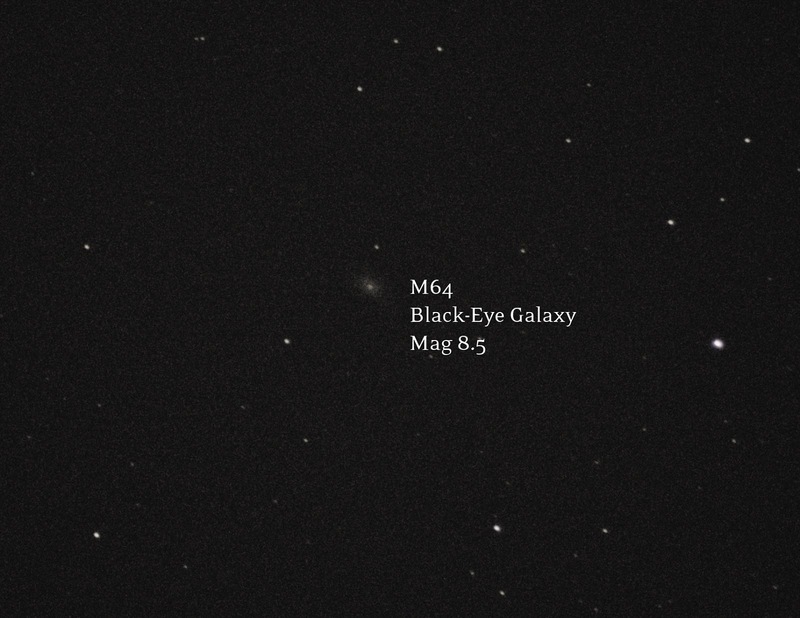 I identified the Black-Eye Galaxy as a tiny speck of gray in a sea of gray specks. 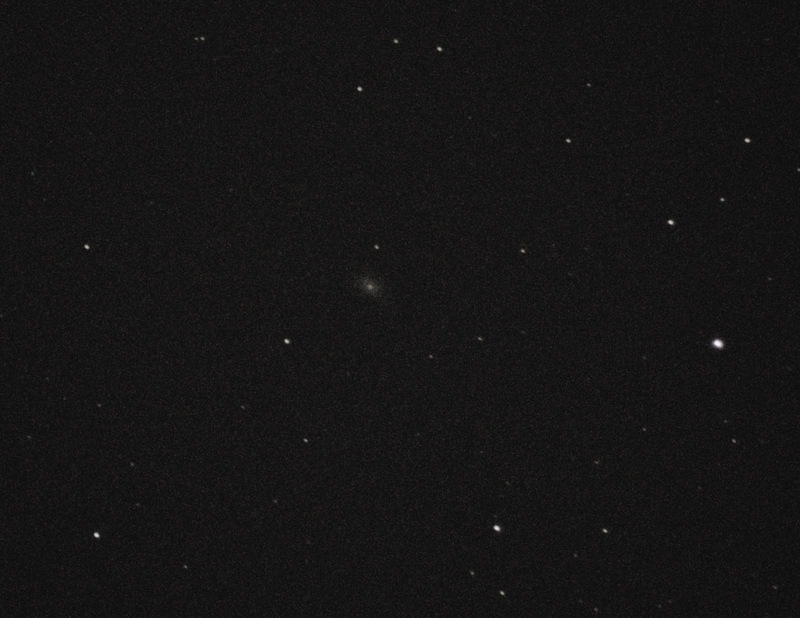 I vowed to return to the Coma Berenices at 300mm to get a closer look, but when I returned I was off by a good 15 degrees and accidentally photographed globular cluster M3. Two nights ago, I collected 1048 frames of the clear night sky from my apartment balcony. I have a shutter lock, and I have to step off the balcony and stand in the doorway so my shifting weight doesn't shake the entire wood balcony. I finally bagged M64 undeniably after almost a year. It's a little anticlimactic, but gratifying. Messier total is up to 56 out of 110!